The veneer finish is an oak wood effect and when teamed with the chrome features on the base, this table becomes a stylish up-to-date piece of contemporary furniture. 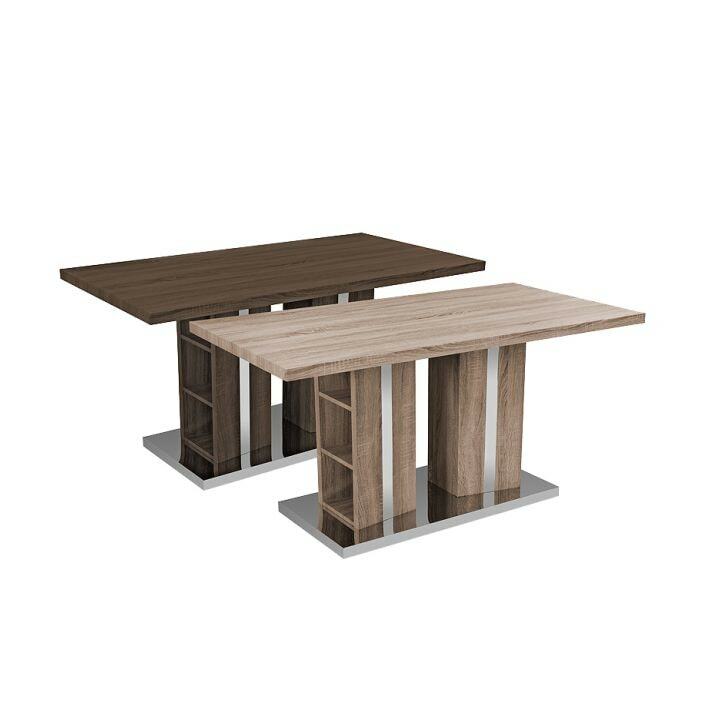 The table top is supported by 2 shelved columns which offers a handy storage space for dining related paraphernalia. The base of the table has a chromed plate attached giving this affordable dining table a modern twist.